In between running around around outside with the kids this week which is a big part of my Wordless Wednesday I’ll share tomorrow, I’ve been eating a bowls full of fresh and zesty homemade guacamole, mashed with California avocados, onion, garlic, lime juice, salt, our own garden tomatoes, jalapeno and cilantro, plus a little salt to taste. It’s divine. You won’t ever buy guacamole again once you’ve made thsi simple recipe and if you think you don’t like it, give it a try. You’ll thank me. My husband teased last night that he thought I was about to eat a bowlful of garden lettuce. I did have it out and ready to go. But instead I opted for the other green stuff, guacamole. I didn’t regret my choice. The guacamole is gone now and I’m eating lettuce today. This is the fourth recipe I have made from the Gooseberry Patch Comfort Foods cookbook. After making ten recipes, I will be giving away one copy in partnership with Gooseberry Patch and Real Farmwives of America. Dice up half a large onion and put into large bowl. My husband thankfully happened to be home in the evening and did this for me. Onions make me sob even with onion goggles. I bought a few extra avocados and was happy I did. We had one bad one but the rest were beautiful. In a separate bowl, place peeled and sliced avocados. Avocados are in season and California avocados will be as local as I’ll ever find them. The nutritional value of an avocado far outweighs a little fat to them. They are full of essential vitamins. I think of them just like cheese or milk. They are a food I love and need. Peel, slice and dice 2 or 3 garlic cloves. diced jalapeno if you choose. Add in lime juice, cilantro and lastly salt to taste. 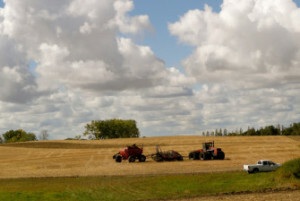 Combine and stir. Chill for 30 minutes to 1 hour before serving. Enjoy with fresh vegetables, pita chips, tortilla chips and also we served it with Hot Chili Cheese Dip which is another recipe from Gooseberry Patch I’ll share later this week. Now it’s back to kids for me during my two weeks as a stay at home mom. 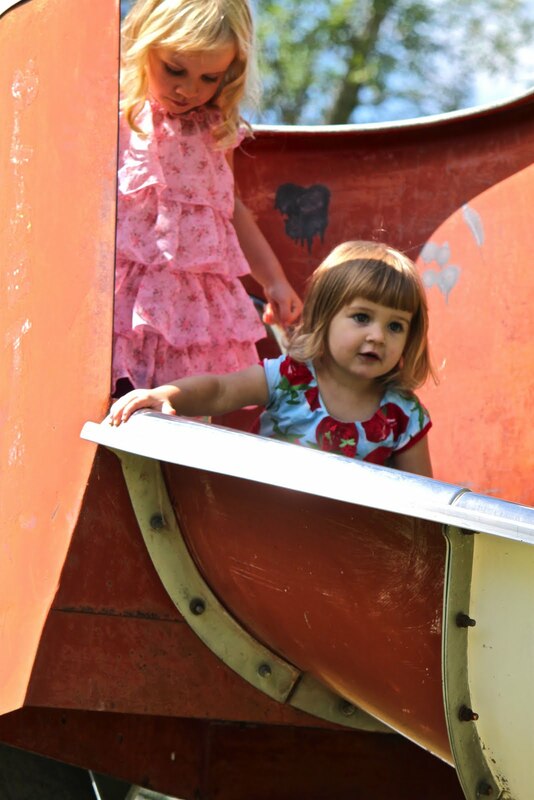 We are just back from a picnic in our small town park. If I only post about food my loyal three blog readers for the past four years won’t get to see my kiddos. Here’s a sneak peek into tomorrow’s Wordless Wednesday which will be up tonight at 12:01AM CST and ready to you link up. 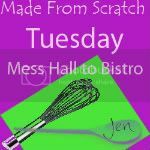 Linking up with Jen of Mess Hall to Bistro for Made from Scratch Tuesday. I love a good guac recipe! And yes an excellent tip, buy more avocados then you need becuase you never know when one might be bad. Thanks Katie! Guacamole is one of my favorite things. I am the only one in my house who likes it, so I get is all to myself. Thank you so much for sharing this homemade guacamole.I would love to try this…I always wanted to make mine. Good day! I have already copied it down and will be making this recipe. I have always wanted a guacamole recipe but never took the time to look one up. This one came right to me via facebook so it was effortless (of course via link!. Can’t wait to try it. As a California avocado grower, it makes me sad to see a bad avocado that was purchased in a store. If you buy your avocados when they are still firm (or hard) you can ripen them and use them before they are over-the-hill. Avocados do not begin to soften until they are picked from the tree, so if you buy them before they are ready to eat, you will not have to throw any away. We ship fresh avocados direct from our ranch in Southern California, in gift boxes or monthly subscriptions, and they are picked to order. It takes a week or more to ripe a really fresh avocado…but it’s worth the wait. Your recipe is a winner!